This being mental health awareness week, I want to share my struggle through depression and why I came to cycle around the world. At the point in my life when it all began, I felt overworked, lonely, and unfulfilled but I was unaware that I had a problem, I just thought it was normal life. At that time, mental health was rarely spoken about, it had little media coverage and it was certainly not something my friends and I spoke about. When a doctor asked about my general wellbeing, I began talking about not seeing the point of life, that I felt as though nobody understood me and that on nights out with friends, I would feel more alone than if I stayed in on my own. In my personal life, I was pushing away the people closest to me and at work I began losing control of my emotions. I was diagnosed with depression. 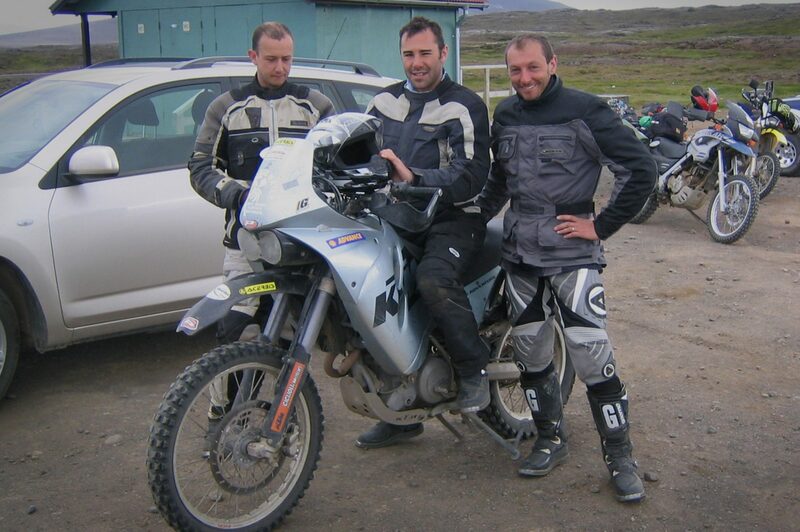 The opportunity to go on a motorbike adventure across Iceland with two friends gave me a new perspective I’d never seen before. The three of us arrived on the island with just a map and a compass and plotted our own course across new landscapes. It was as though I’d been cast in to a National Geographic magazine; crossing deserts, climbing volcanoes, swimming in rivers of hot water and camping beneath the midnight sun; in adventure I felt alive. As my Geordie friends struggled to communicate with locals who spoke perfect English, I became their interpreter, in my mind I suddenly thought I was born to be an adventurer – ! Returning, I decided to change my life dramatically and within one month, I cut ties with all the trappings of “success” and set off to cycle around the world. Setting out into a world I didn’t know energised me and I thrived on having to find my own solutions to different problems I faced every day. Cycling released endorphins, keeping me focussed and happy, the challenge of getting around the world gave me a new drive, I found the thing that made me happy and I decided to make a life for myself doing what I loved. If I have one regret, it would be that I had to hit rock bottom to realise that I could achieve anything I wanted. Don’t accept that an unfulfilling life is “normal”, talk openly about your struggles to friends and family, don’t wait for your boat to come in, swim out to it and find what makes you happy.